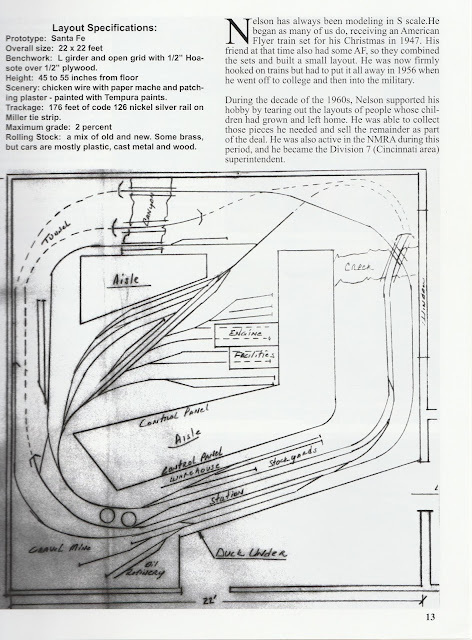 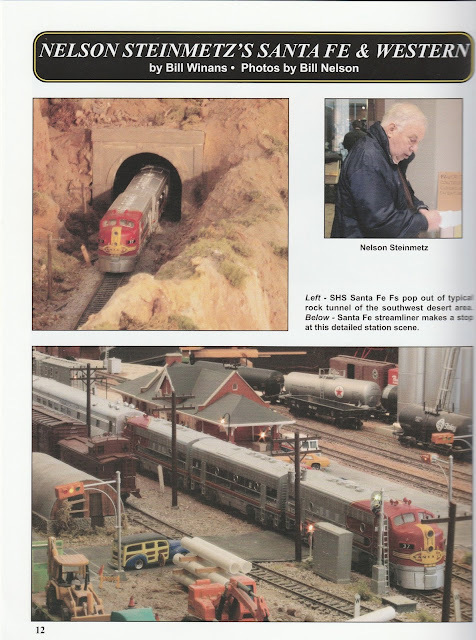 Nelson Steinmetz S-Scale layout is all around the wall (22’ x 22’). 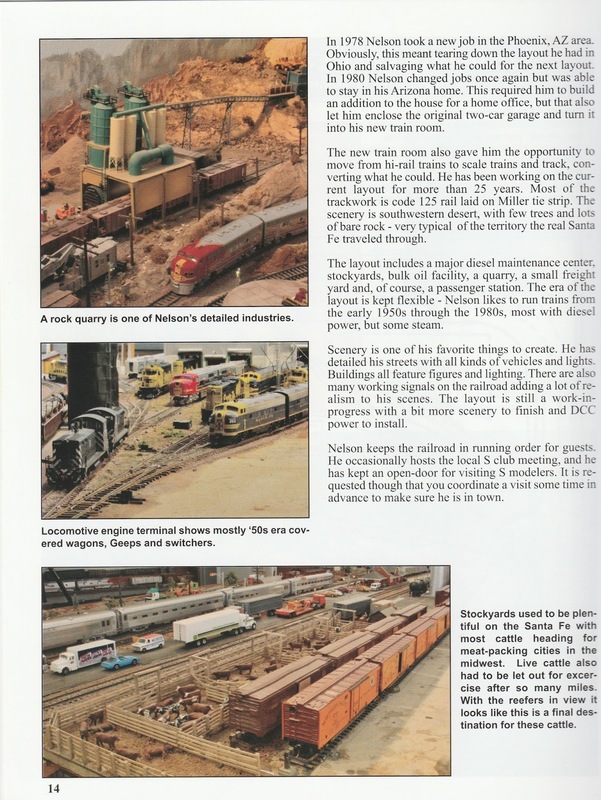 The era is 1950/1960 and only diesels are operated. Motive power is DC w / accessories on AC and layout was being rewired for DCC. 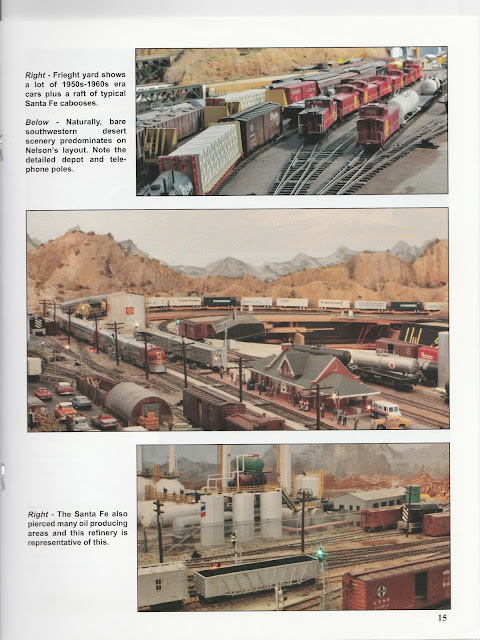 Motive power is manufactured by S-helper, American models, Overland, River Raisin and Omnicon. Scenery is 85% complete. Track is code 126 nickel silver rail on plastic ties. 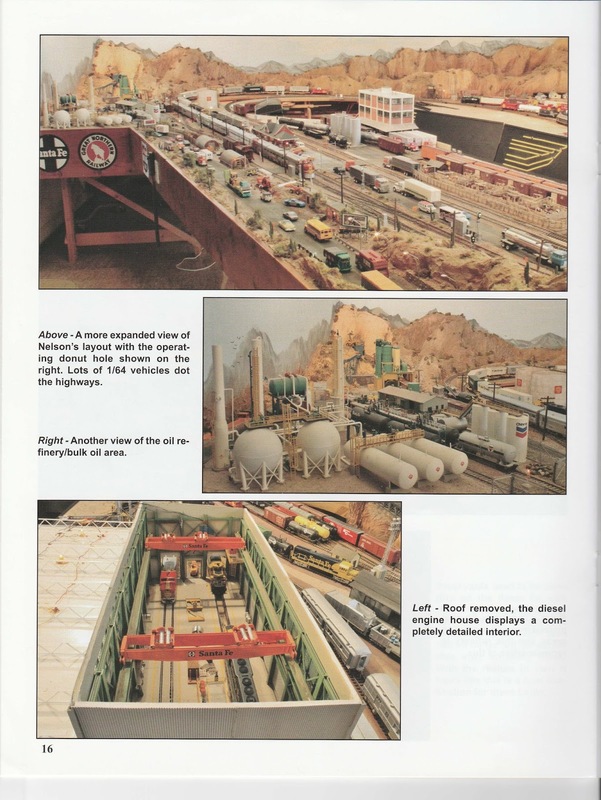 Nelson Steinmetz's Santa Fe & Western Model Train Layout was featured in the August 2013 Dispatch Magazine on pages 11-16. 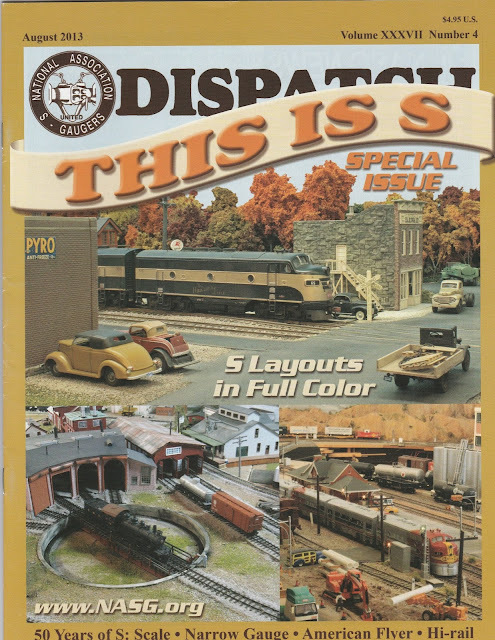 You can get your N.A.S.G membership and Dispatch magazine off there web page.